A useful and insightful study guide to the series of lectures that Rudolf Steiner gave to the teachers at the first Waldorf school. This book is designed to help the reader find points of comprehension in the original lectures that Rudolf Steiner gave to the teachers in the first Waldorf school. 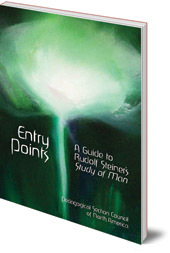 The extraordinary and revolutionary pictures and ideas in the original lectures can feel overwhelmingly lofty at times; the helpful insights provided in this Study Guide can move a reader forward in understanding the height and depth of the ideals and ideas given by Rudolf Steiner to those wishing to become Waldorf teachers. Interesting insights, in-depth background materials to aid understanding, and incisive questions to stimulate clear thinking and effective dialogue are the hallmarks of this aid to study. The book includes a summary of each lecture, commentary and study questions. Elan Leibner has taught at Waldorf schools for over eighteen years, and is now chair of the Pedagogical Section Council of North America.